Won’t Kids Martial Arts Training Make My Kid More Violent? You’ve probably seen a few martial arts movies (or maybe you’ve seen hundreds!) While much of what you’ll see is total bunk, there is a thread of truth that runs through many of them that’s very true…it’s always better to have the discipline to not use force if it can be avoided. Of course, the heroes of martial arts movies are always forced into situations where force can’t be avoided…that’s where the excitement comes from! But in real-life kids martial arts, it’s not about violence…it’s about having (and sometimes taking) control. Restraint: The discipline to have the power (and doing what you can to not use it unless unavoidable) is something we impose on our students. We keep the fighting on the mats unless it’s necessary to use it on the streets. Calm: In order to learn, you must be willing to listen. When we demonstrate our skills we show the kids just what they can become, and this often puts them in enough awe where they are willing to calm down, listen, and do the work. This ends up being a good lesson for the rest of their lives as well. Respect: We won’t deny it…we demand that the students, both kids and adults, respect the teachers. But we also demand that they respect each other. This is yet another aspect of kids martial arts that overflows into the home and school life: respect for those in authority and for their peers. 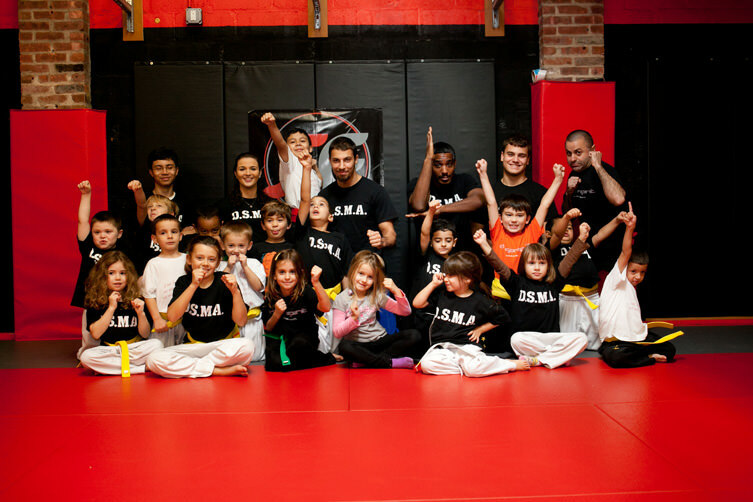 Many kids come to us on the first day of our martial arts for kids programs and start kicking wildly, spinning around and acting out. But even by the end of the first lesson we’ve begun to instill in them the need for calm, respect, and restraint. Give it a two-week trial today and give them a chance to learn. Find out more here!